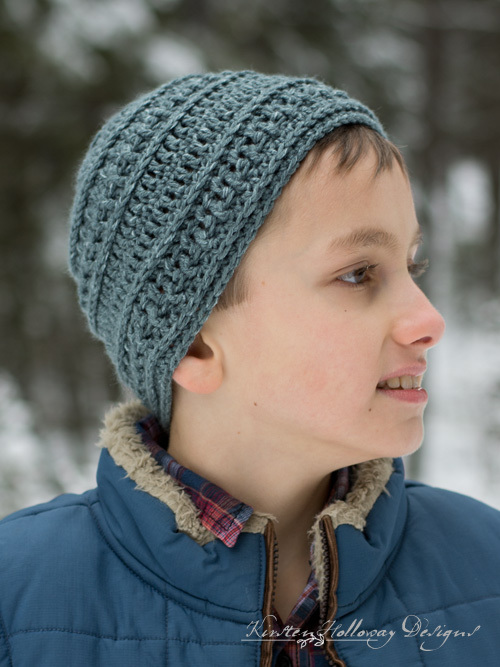 Crochet a cozy hat for the littlest adventurers of your tribe with this free crochet pattern! The Wanderlust Beanie has been one of my most popular patterns for the last year and a half, and I’ve had many requests to make a matching hat in toddler and kids sizes. So finally, here it is! 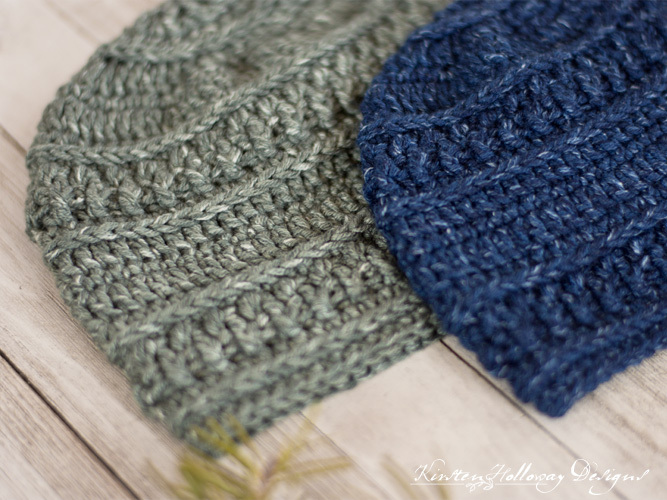 I wanted this hat to retain the softness and comfort of its adult counterpart (you can click here to find the Wanderlust Beanie pattern for adults). Adventures should be a time to focus on the beauty around you–not fretting about a hat that is too tight, or too hot/cold. With that in mind I chose to go with the Lion Brand Jeans Yarn. This was my first time working with Lion Brand Jeans yarn, and I was so impressed by how stretchy and soft it was as I crocheted this hat! This yarn is finer than the Lion Brand Heartland yarn I used to design the adult version of this hat pattern, so it stays soft and comfortable for even the littlest members of your family. In fact, it should be so comfortable that it will hardly feel like they are wearing a hat! Click here to add this pattern to your Ravelry Queue! happy with the finished result! Sometimes even with gauge and the best of intentions a hat can come out too small. If you are having that problem, try going up a hook size. I have listed how tall your dc stitches should be in the gauge section, so if your stitches are shorter, going up a hook size, or two may help. If you have the opposite “problem” (very relaxed tension): I also have extremely relaxed tension, and personally used a 3.25mm to crochet the toddler size, and a 4mm to crochet the child’s size. If you also have extremely relaxed tension going down a hook size may be helpful to achieving the correct fit. This hat has an inch or so of negative ease, so if the finished sizes seem a little small this is why. If your kiddo is in between sizes, and you meet gauge for the hat you wished to make, try going up a hook size and see if that fits a little better. This yarn is very versatile and should allow for adjustment up to about a 5mm hook. Let’s get started on this hat now! Optional: leather or fabric tag of your choosing. All This Wood has some excellent options, and can do custom orders. Working in the 3rd loop of hdc. Look at the top of the stitch, and locate the sideways “V”, bend the stitch to look at the back, and you should see another “V”. You’ll be working into the back loop of that “V”, this is called the 3rd loop. Toddler size: Using 3.75mm hook, hat should measure 4 3/4” across after round 6. 17 dc sts in 4”. Each dc should measure 1/2” tall. Child: using 4.5mm hook, hat should measure 5 1/2” across after round 6. 17 stitches in 4”. Each dc should measure just under 3/4” tall. 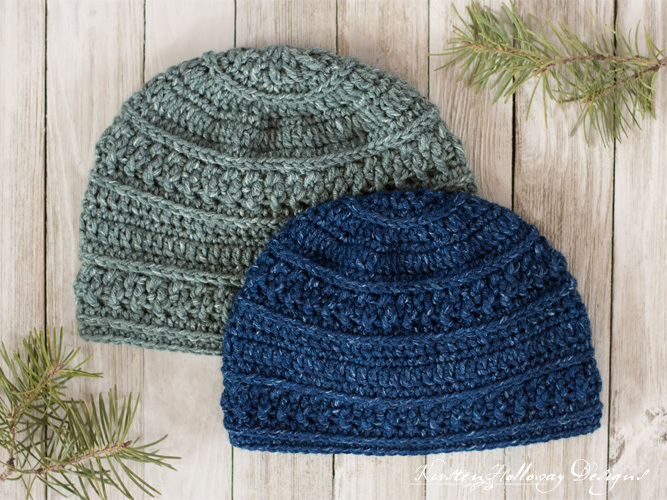 For the free, adult size Wanderlust Beanie crochet pattern, click here. Fasten off and weave in ends. Fasten off, and weave in ends. Friends, if you enjoyed this pattern, don’t forget to sign up for my newsletter! That way you’ll never miss out on special events, or freebies I’m offering. Sharing a link to this post with your friends is also always appreciated! 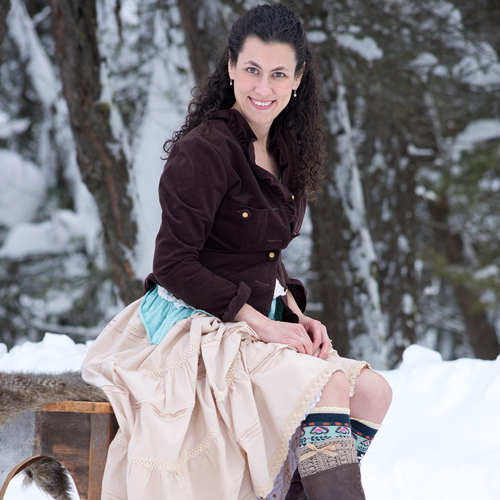 You can also find me on Facebook, Pinterest, Instagram, and Ravelry. You are welcome to share the link to this pattern, using one image of your choice, on your site, but please do not share the written patterns themselves, or use additional images. You never have permission to use my images by themselves on Pinterest, however they may be included in a roundup pin if there are 4 or more other patterns. If you sell finished items online, please do not use my pictures for your listings. I’m positive that your work is of high enough quality for you to sell the finished piece. Have confidence in your abilities! <3 Thank you! This pattern was made to be used by individuals, and small business crocheters alike. Selling your finished pieces in boutiques, at farmer’s markets, craft shows and other events is encouraged! Please credit Kirsten Holloway Designs when selling finished products online. The only thing I require is that this pattern not be used commercially to produce millions of copies. This post contains affiliate links. When you purchase something using these links a small amount of the sales price goes back to me. You do not pay any extra for the item you purchase, however. Great, need a basic hatpattern forms son. Nothing “girly” has been demanded! Haha! This should work well then! Hello, Beautiful! Welcome to my little corner of the internet where creativity, texture, and romance come together crafting the unexpected! I'm a lover of life, lace and all things beautiful. It is my hope that you find a little of each captured in these designs. For more about the inspiration behind this site, click here.